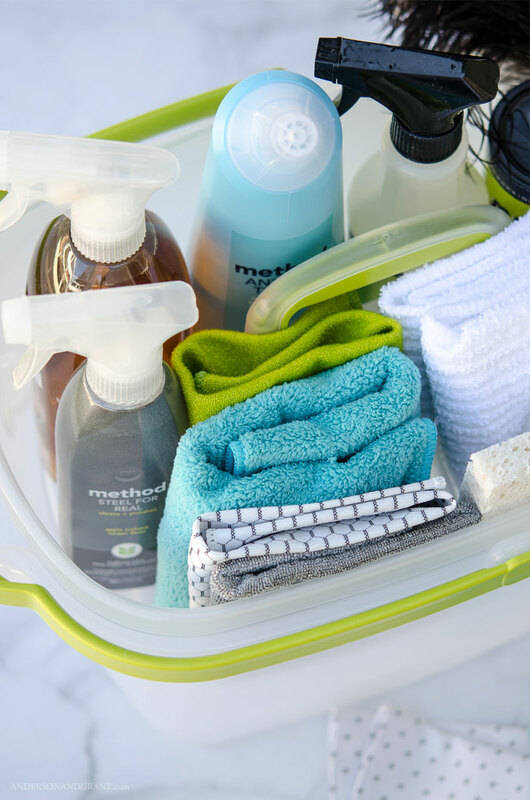 Keeping a caddy well stocked with your cleaners, rags, and tools will help make weekly home maintenance quick, easy, and painless. Personally, I love to clean. I get immense satisfaction from knowing that my house has been scrubbed free of dirt, dust, and grime. But I also realize that not everyone is like me. For that reason, it is important to make the weekly task of cleaning the house as painless as possible. One way to do that is to have all the tools with you that are needed for the job. 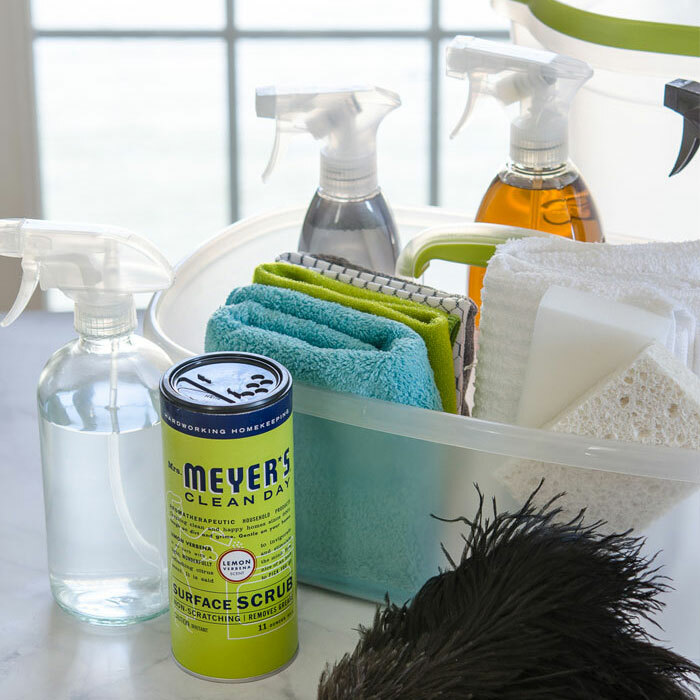 It is handy to have a cleaning caddy that will fit under your sink or in a supply closet. This bucket should be able to hold all of your essential cleaning supplies and be able to be easily transported from room to room. 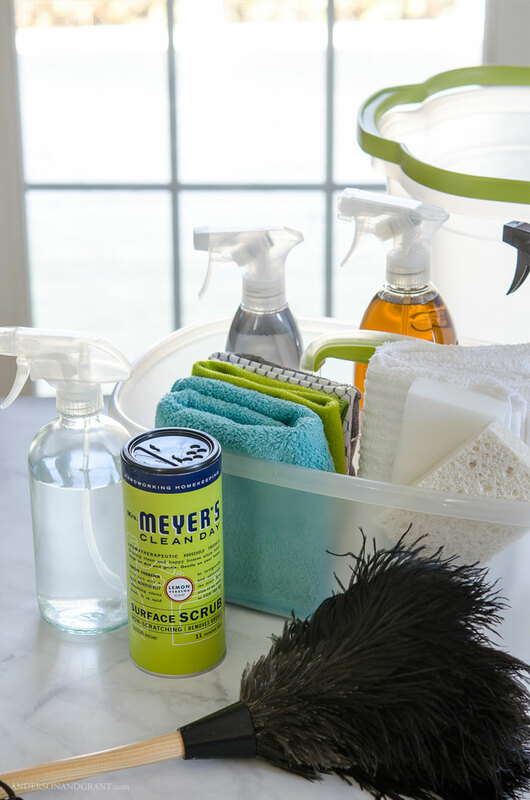 Cleaning is so much easier when you have everything you'll use in one place and at one time. 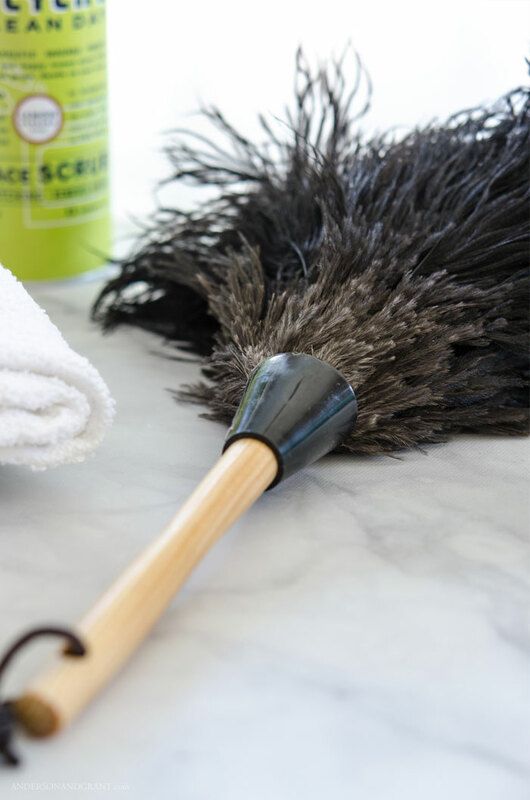 You're less likely to put off scrubbing the grout in the tub if you don't have to leave the room to find more supplies and tools. Last year, I purchased this cleaning caddy and bucket from The Container Store. 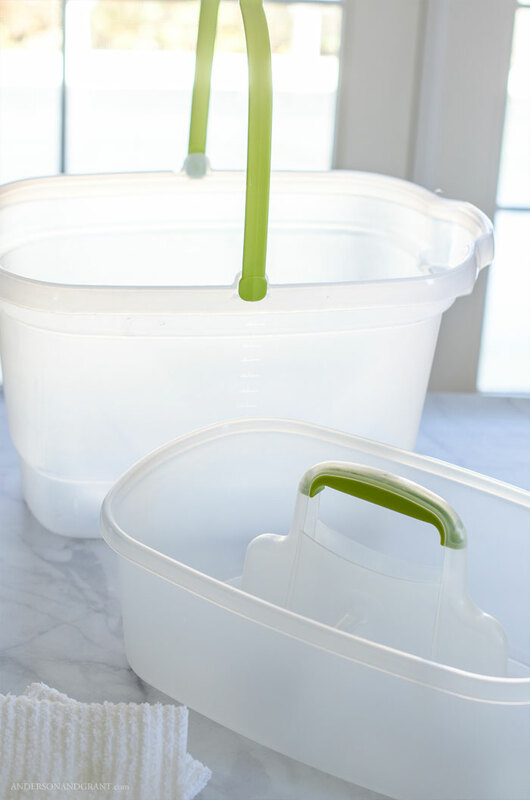 The reason why it is so helpful is that it isn't just a caddy to hold supplies, but the bottom is also a bucket. This has been so useful as I've started my spring cleaning this year, because I seriously have everything that I need right at hand. I don't even have to run to the supply closet to get a bucket to wash down the walls or clean the windows. **Each piece is sold separately. And while this set has a lime green handle, you can get a bucket with silver handles on Amazon. Chlorox wipes - For cleaning off door handles, the front of cupboards, or doing a quick wipe out of the bathroom sink. 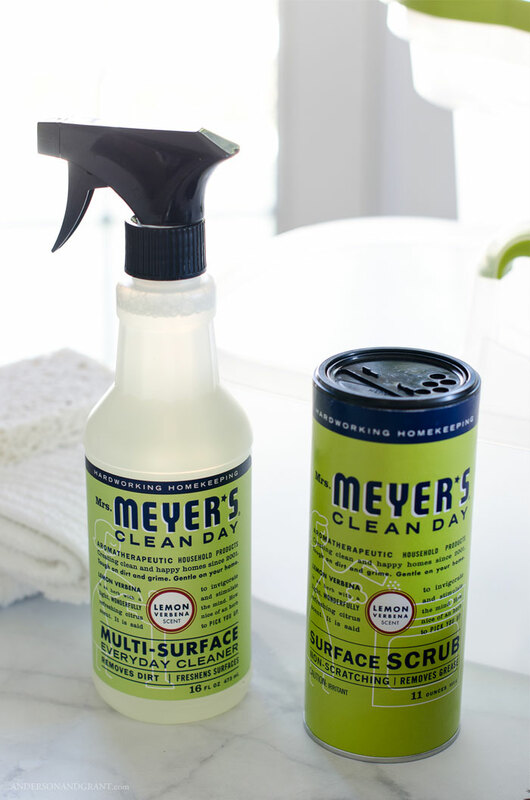 I love using natural, "green" cleaners and have even started making my own. I've become a little nervous using so many different chemical cleaners and find that the natural and homemade versions work just as well. The brands I turn to the most are method, J.R. Watkins, and Mrs. Myers, and I really love the dish soap made by The Honest Company. Since I live in a rural area, there isn't much opportunity for picking these types of cleaners up locally. For that reason, I've started ordering my products through Grove Collaborative and have them shipped directly to my door. Not only is it easy, but you can get some great freebies and discounts as well! Magic Eraser - These are great for scrubbing your kitchen sink or stove top, wiping down the shower, and for removing marks on the wall. Paper Towel (My choice is Viva brand because they are almost cloth like and withstand some scrubbing). 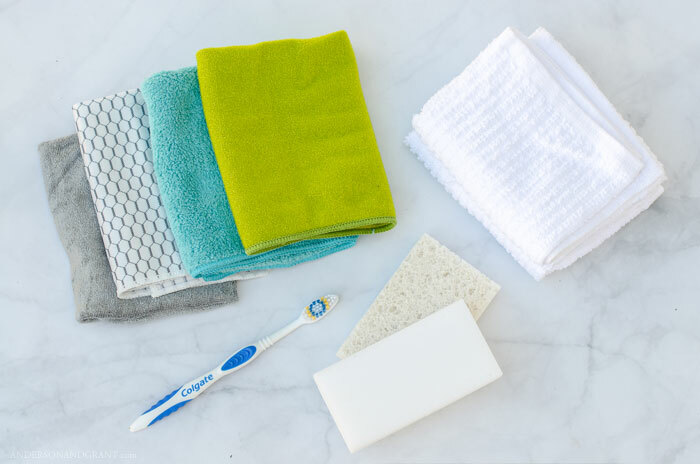 You may notice that I have different colored microfiber cloths and I use them with different types of cleaner. I don't want to clean my windows with a rag that previously had wood cleaner on it! While I am aware of which rag goes with which cleaner, you may need to have some sort of system if your family helps out with the cleaning. Duster - I just purchased this ostrich feather duster and am in LOVE! It seems like so much stuff, I know. 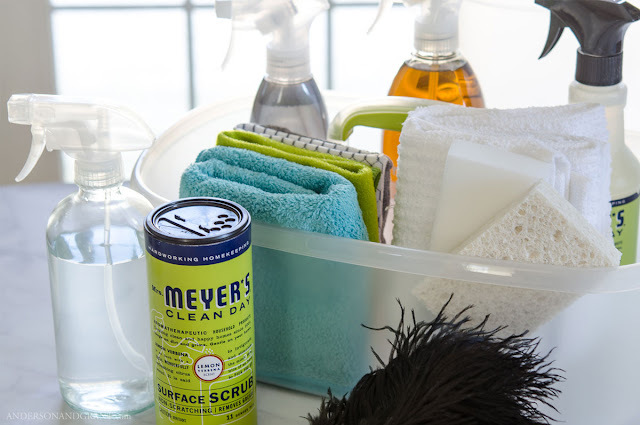 But these are what I consider essentials to tackle any cleaning problem that may arise. Because I have such of love of a clean house, I use a lot of different products and different rags. That doesn't mean that you need to. 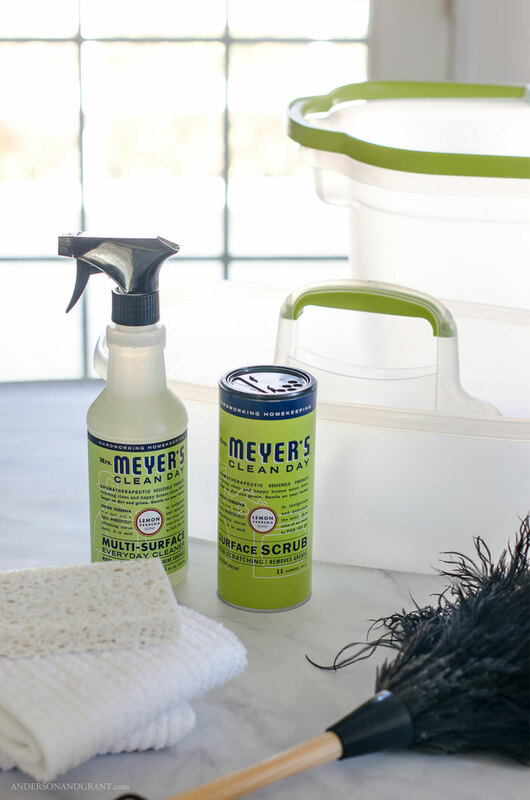 Maybe an all purpose cleaner and sponge is all that you ever use and would need to store. In that case your cleaning caddy would be much smaller and lighter than mine! 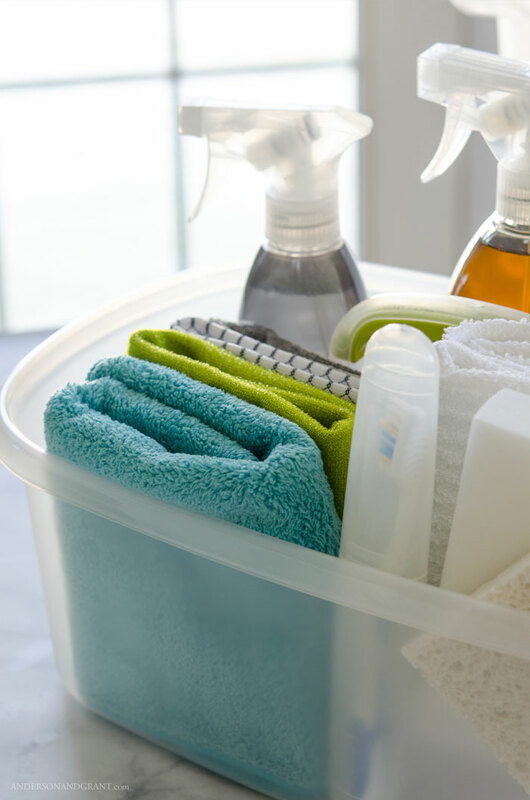 The important thing to consider is that you have some sort of container that can hold all of your favorite supplies that you'll need during a weekly cleaning session. You want the task of keeping your home clean and fresh for yourself and your family to be as fast, easy, and efficient as possible.